Depending on who you ask, coffee roasting awards can be either helpful or downright misleading. 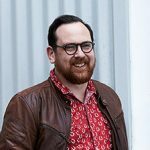 As a judge at multiple coffee awards, Paul Asquith explains what happens behind the scenes. 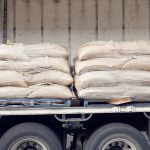 Perhaps you’ve heard roasters talking about their “award-winning coffee” or you’ve seen a medal proudly displayed on a retail pack and thought to yourself – is that for real? It’s true, many coffee roasters love to celebrate the awards they’ve won (guilty as charged…). As someone who has been involved in these competitions as both a competitor and a judge, I know that labels like ‘gold medal winner’ can mean something very different to a coffee professional than it does to customer. The obvious comparison is wine. Who hasn’t, at least once, been persuaded to buy a bottle of wine based on the impressive row of medals displayed on the label. However, the wine industry now has so many awards and medals, that many people in the industry question whether they’re worth anything at all. 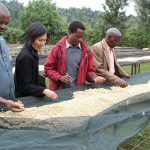 To understand the relevance of coffee awards, and how they differ from the wine industry, it’s good to start by understanding how they work. The roasted coffee is sent to the competition in coded bags – so they can’t be identified by the judges. The coffee is brewed to a specific ‘recipe’ and served to a panel of judges (two to four judges most of the time), who submit scores to a panel head or head judge. The scores are tallied, and medals awarded for coffees that score within a certain band. Gold is the top scoring band, followed by silver and then bronze. Where do all these medals come from? All 3 awards give out Gold, Silver & Bronze medals based on cup score (i.e. taste) and separate these into categories, such as Filter, Espresso Single Origin and Espresso Blend, Milk-based, etc. While the competitions all look very similar from the outside, in practice, the focus of each competition is quite different. 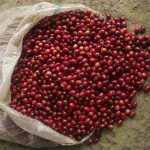 The AICA attracts a lot of specialty coffee (lighter roasts, coffees with distinct character), while the RAS seems to draw traditional styles (darker roasts, lower acid coffees). These differences come down to the history & preferences of each association, and the background of the judges they invite. I often say there are three distinct competitors in any of these competitions that can make judging a challenge. Don’t get me wrong, you get some crackers, but sometimes the distance between those can feel like years. Competitor #2: We already have some great coffees, let’s see what suits the competition categories. These are the roasters that have methodically tasted & tested their coffees to decide what will best suit the competition categories. They may have a crazy, fruity coffee that makes both awesome espresso and milk coffees so they enter it in those categories. When it comes to a filter coffee category, they enter a coffee specifically roasted for filter. 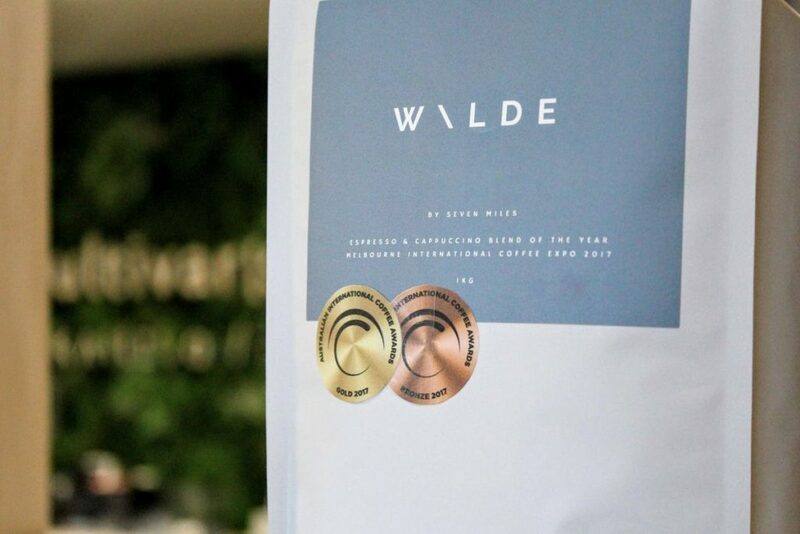 For example, last year our blend Wilde won the only gold medal in the Espresso Blend category and also won a bronze medal in the Milk category. These type of entrants make judging informative and fun because you get to see what some roasters in the industry are doing really well. Competitor #3: We really want a gold medal so let’s pick the best coffee we can, roast it exactly to the specifications and enjoy the accolades..
Ok, this is not necessarily the mindset of these roasters, but some may be sitting on an amazing Gesha or a super rare coffee that is just incredible. 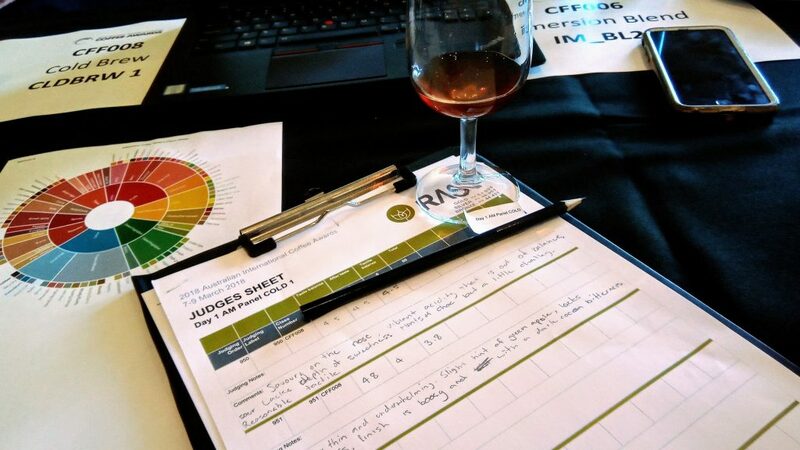 This definitely is a joy when you get one of these coffees as a judge because they are few and far between, even for a coffee professional spending every day with coffee. The downside is that these special ‘one-off’ coffees often aren’t anything like the everyday blends you can buy from the same roaster. In my experience you go through so many coffees and you can get some serious palate fatigue. On one day, if pushed, you can get through thirty coffees. No, I don’t drink all of the thirty coffees but there is some consumption associated with the tasting. Keeping your palate fresh is one challenge but also keeping your head clear is important too. Judges, me included, can feel like you are under a constant barrage of below average coffees and you become frustrated. Remaining objective during that time is the biggest challenge; I always go back to the thought that someone is roasting this and doing their best, and a customer is going to buy it. Conclusion: should we care about awards? While the system isn’t perfect, when a team of judges pick a champion in a certain category – that coffee genuinely stood out as unique & delicious. Yes, it may have been selected from a super rare lot of coffee. Yes, the judges may have been some of the only people that will get to taste it. But in my opinion that’s what competition is for: to push the boundaries of sourcing, roasting and brewing further. Awards are a way to reward roasters that take that risk, and inspire progress & quality. For a coffee drinker – a medal is simply recognition that someone liked a coffee the way the competition said to make it. While that might not be to your tastes – you might just get to taste the best coffee you have ever tasted. Without trying, how will you know? If you have questions, feel free to drop us a line, or come along to one of our live events.